Australia has the highest incidence of malignant melanoma in the world with around 1400 Australians being diagnosed in 2017 and 1800 dying of the disease. It is the most common cancer in the 15- 45 year age group. 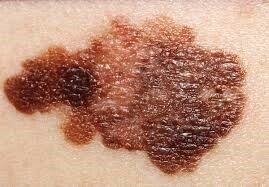 Melanoma is a cancer of the pigment cells in the skin that form nevi or “moles”. It is a particularly aggressive cancer and can spread to other regions in the body via the lymphatic system or bloodstream. Most melanomas are curable if diagnosed early. The main factor which has been shown to increase survival in melanoma is early recognition and surgery. Once the melanoma is removed the most important indicator of whether the melanoma has spread is its depth in the skin. 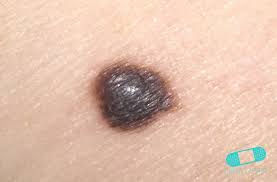 If the initial surgical removal of the lesion (excision biopsy) confirms Melanoma additional normal skin is taken from around the surgical site depending on its depth, and this may be from 0.5, 1 or 2cm. This is because when melanoma reoccurs it is common for it to reoccur around the site of previous surgery because of local lymphatic and blood spread. It can also reoccur at more distant sites and other organs such as lung, liver or brain. Fortunately there are new treatments available for metastatic melanoma which have shown encouraging results in keeping patients disease free and prolonging life.